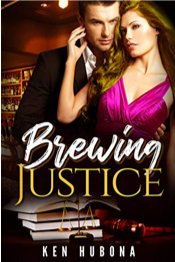 Agile Writers’ Ken Hubona has published his debut novel, Brewing Justice. Ken came to Agile Writers in 2014 to convert a work-in-progress screenplay to a novel format. Since then Ken has been a constant presence at Agile Writers informing the method and contributing valuable inputs to our study of rewriting and critique. Legal dynamo Bob Baldwin forges corporate mergers that reap millions for CEOs, investment bankers, and law firms. Meanwhile, rank-and-file workers watch their jobs disappear, families suffer, and communities crumble. Bob soothes his guilt with the balm of a grand salary and beautiful wife. But when an act of betrayal claims his woman, his income, and even his health, he learns the pain of an indifferent world and can no longer ignore the carnage of his work. In a defiant rage, he steals millions from the law firm and flees to start a new life in a remote village where the values of honesty, loyalty, and community still survive. Despised by a tyrannical boss, deceived by a manipulative trophy wife, and pursued by a dogged but conflicted detective, Bob struggles to rebuild the town that corporate “right-sizing” has destroyed—before his ex-employer can track him down and exact revenge. As the hounds close in, Bob realizes that war is not won by hiding in the trenches. He must take the battle to the citadel. Brewing Justice is a story of greed and betrayal, sacrifice and loss, and ultimately love and redemption. In the worst of times, we find the best in ourselves.